Matthew Geise appeared on Show 282, recorded in January 2014, at age 17. 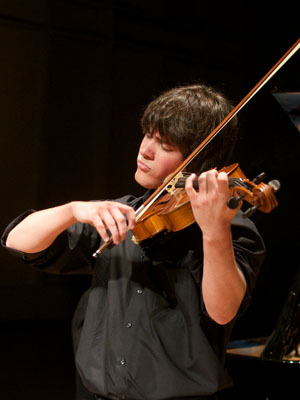 Matthew Geise (viola), 17, is from Plano, Texas, where he attends Plano Senior High School and studies with Ron Houston. He has been playing violin and viola since he was 6 years old. He plays in the Greater Dallas Youth Orchestra and has participated in the Montecito Music Festival and the Idyllwild Music Festival. He also enjoys improvising on piano. Outside of music, he enjoys filmmaking and dancing.